Annie Flanagan talks about the difficult question of how to deal with a friend who is in a violent, dependent relationship and about the opportunity of sharing changes and experiences through photography. Interview with Annie Flanagan, Munich 2017. Director: Irene Graef, Camera: Ulrike Daniel, Editor: Raffaéllo Lupperger. Michael Danner reflects on his video installation "Migration as Avant-Garde", which describes migration as an inherent part of being human and lets the images talk to each other. Thinking about terminology is an important contribution to the social debate about migration. Interview with Michael Danner, Munich 2017. Director: Irene Graef, Camera: Ulrike Daniel, Editor: Raffaéllo Lupperger. Chantal Zakari speaks about the search of the perpetrators, lockdown and police brutality after the Boston Marathon Bombing in April 2013. She describes the project "Lockdown Archive" for which she teamed up with her husband Mike Mandel and worked with the images that were made during the lockdown and spread on the internet. 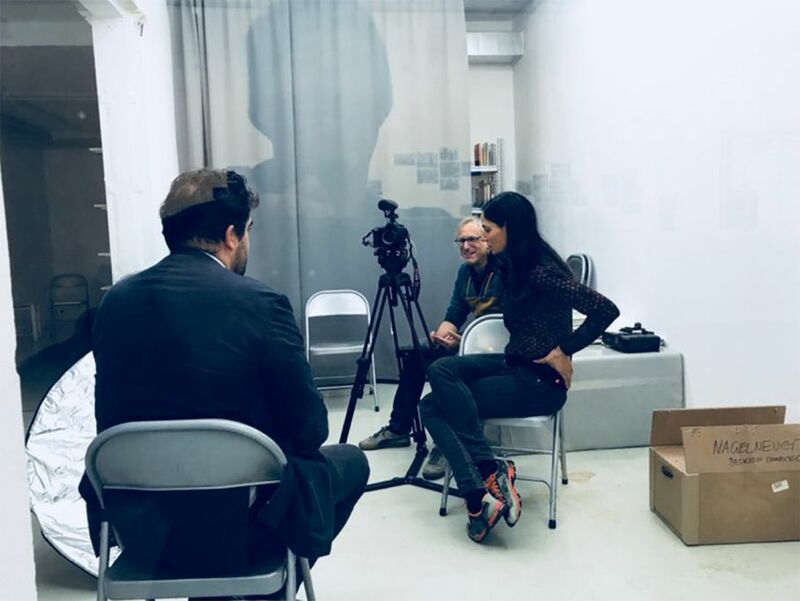 Interview with Chantal Zakari, Munich 2017. Director: Irene Graef, Camera: Ulrike Daniel, Editor: Raffaéllo Lupperger. Harris Mizrahi talks about how his own depression and vulnerability allowed him to have honest access and connection with strangers. He discusses that there are always different truths and that people are more complex than stereotypical images can convey. Interview with Harris Mizrahi, Munich 2017. Director: Irene Graef, Camera: Ulrike Daniel, Editor: Raffaéllo Lupperger. Enjoy the first four videos. More will follow soon!